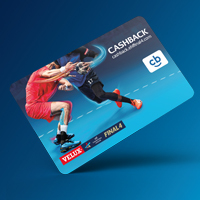 All handball fans attending the highlight of the season in Cologne on 3/4 June, can register to the VELUX EHF FINAL4 Cashback Program and secure their very own VELUX EHF FINAL4 Cashback Card either in the design of their favourite team or in the event's specific design. Advance sales for the VELUX EHF FINAL4 for 2018 will commence on Saturday, 3 June, for the fans at the LANXESS arena. Holders of a VELUX EHF FINAL4 Cashback Card can queue in the "Cashback Card Ticket Fast Lane" and will receive 4% Cashback as well as one Shopping Point when purchasing a ticket to the VELUX EHF FINAL4 2018. Membership is free of charge and non-binding. "More and more sponsors and partners are expressing an interest in the VELUX EHF FINAL4. The new Cashback Program is another example of how attractive this event is for international brands. We look forward to continuously providing our fans with further attractive offers," said David Szlezak, Managing Director of EHF Marketing GmbH.